It's that time of the year for our annual girls' trip with my mum and sister! Such trips are very precious to us, especially after the sister and I got married and moved out of our maiden home. 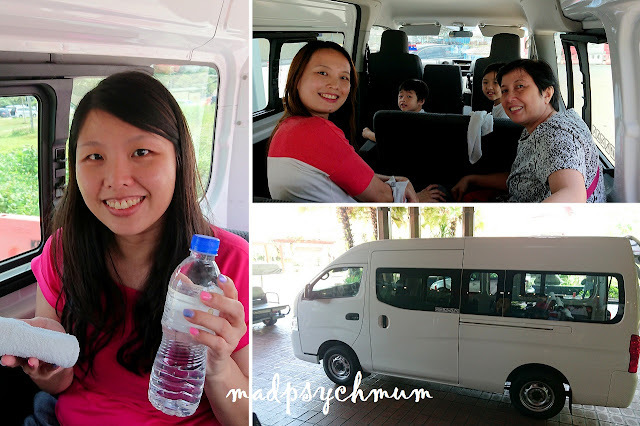 This year we thought we would explore Langkawi and decided to fly by Air Asia as it was the cheapest. 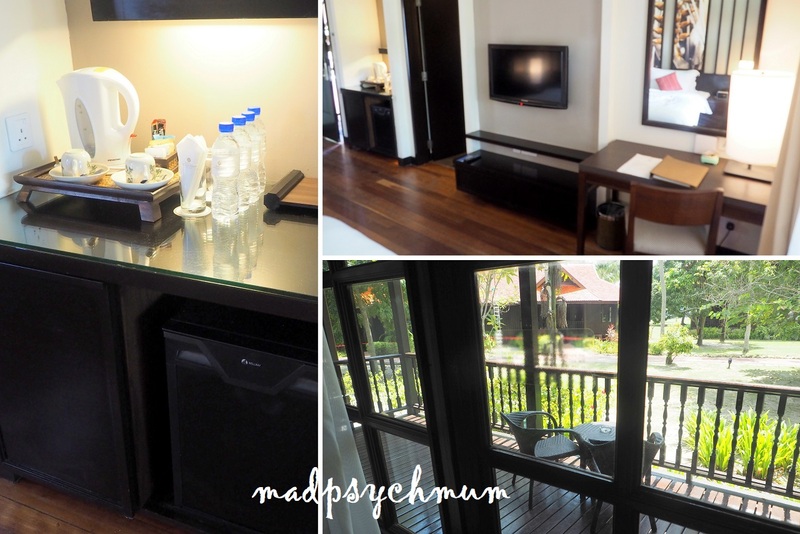 It cost us S$194 per person (same price for adult and child), excluding baggage allowance and meals. My kids are so blessed as my mum paid for their air tickets and accommodation for this trip as their birthday present! 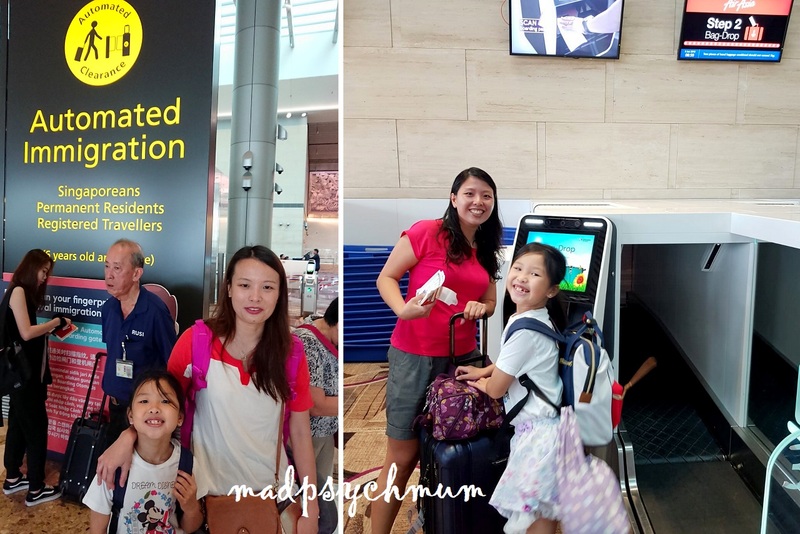 Air Asia departs from Changi International Airport Terminal 4 and this is our first experience with the most technologically advanced of all the terminals. My first time using this! Very cool! The terminal itself was also very well-designed. When it was time to depart, we boarded the plane and departed at 10.55am. I was allocated separate seats from the mum, sister and kids. Although the kids sat across the aisle from me, it wasn't an easy task convincing my boy to sit with a stranger. And this is why I tell my friends with no kids that I refuse to take a budget airline unless for flights shorter than 2 hours. 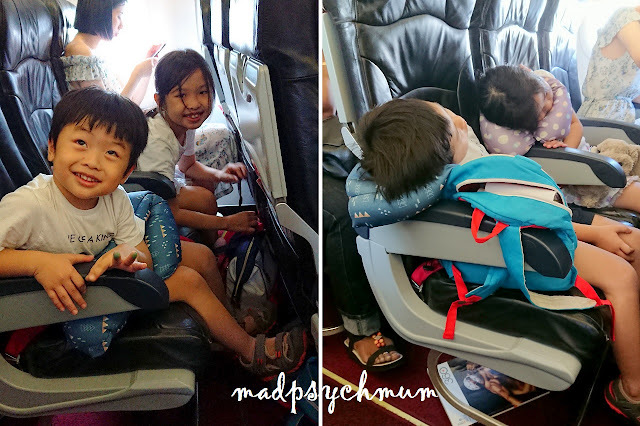 My well-travelled kids fell asleep almost immediately after takeoff! The journey to Langkawi took approximately 1 hour 30 minutes and we arrived at 12.25pm at Langkawi International Airport. 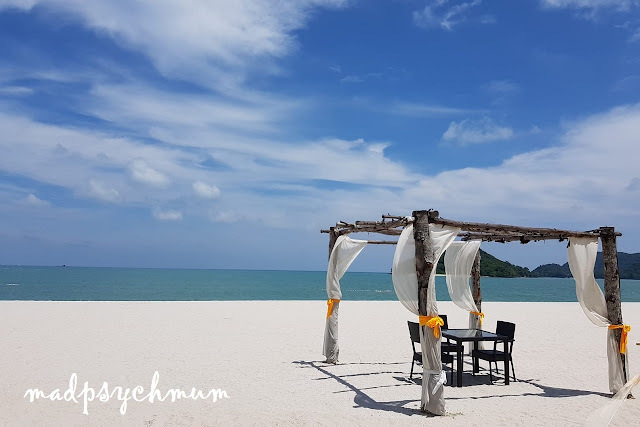 The sister had booked Meritus Pelangi Beach Resort & Spa, Langkawi via the hotel's website because of the perks that came with booking directly with the hotel. Such perks include complimentary airport transfer to and from the hotel, late check out until 3pm (based on availability) and 10% discount on food and spa. Our complimentary airport transfer to the hotel came with towels and a bottle of water. We were warmly greeted by a staff on arrival and given welcome drinks while the staff completed the check in process. Our room was not yet ready for us so we decided to check out the beach while waiting. Our room was finally ready after about 1-2 hours. We had booked the Garden Terrace room at MYR 835 per room per night (including breakfast and taxes) via the hotel's website. This was a special rate for Malaysians, Singaporeans and its Permanent Residents. We booked twin beds so that my kids can share a bed while I had one all to myself! Woohoo! Large balcony that we didn't get to use because it was way too hot! After we had unpacked our luggage, we headed to Cinang Mall, the nearest mall to our hotel, for lunch. It was a really long walk and took us about 20 minutes! On hindsight, we should have taken Grab! Thank God that we managed to get there without fainting along the way from the heat! We decided to eat at Old Town because it seemed like the only place that had food for my Chinese-food-loving boy. There was nothing much to do or buy at the mall so we started our walk back to hotel. We passed Gelato Cabana on the way back and decided to get their homemade ice cream! I chose Langkawi Banana but regretted it as the boy and I both preferred chocolate. I should have gotten double scoops! In any case, the ice cream was a great motivator for my kids to walk the whole way back to the hotel without complaints. 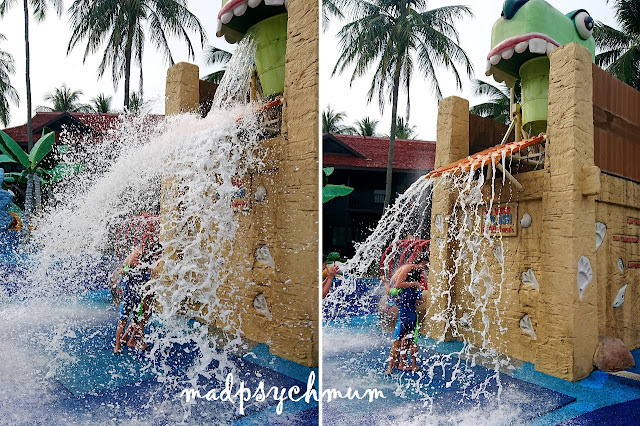 The minute we got back, we headed straight for the amazing pool, the highlight of our stay! There's also a bigger slide for both adults and kids! Very fun! The hotel is located very near the airport so the kids get to spot aeroplanes flying in and out of Langkawi! 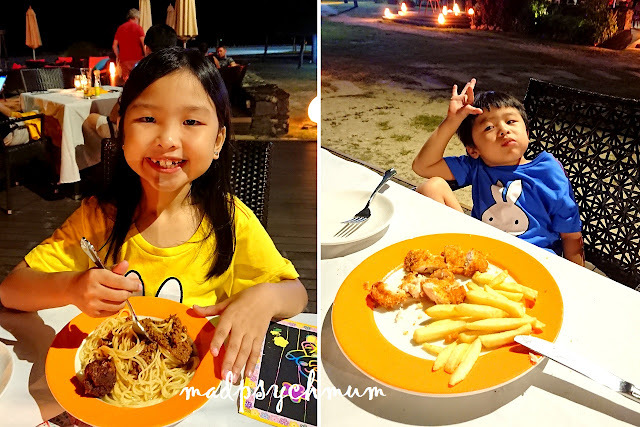 After swimming, we headed out for dinner at the Cba restaurant by the beach! Dining at the beach by the sea. The kids enjoyed their spaghetti and fish and chips, which were nicely done and quite reasonably priced. We ordered a pizza and some other main dish as well and our total bill came up to RM176. However, when I settled the bill on the final day, we only paid RM118.40 (this is probably due to the perks of booking directly from hotel)! I felt the whole experience was really worth the amount that we paid! as well as other travel itineraries!